Keep track of every hour with your children! A custody dispute is never the best option, but being prepared is priceless. Don't let it become a "he said, she said" situation, be proactive and track your custody! Why didn't anyone tell me this was important? Every single person who cares for your children is important. With Qustody you can track each of these Care Givers individually, assign them to Quick Days and view their Statistics in the Reports section. 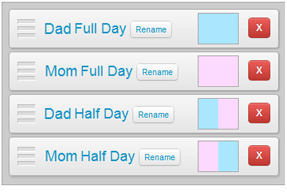 You can define a series of template Quick Days that define how your children were cared for and by who. 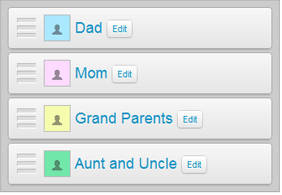 Then, quickly insert them into your calendar for tracking and visualization. Knowledge is power. 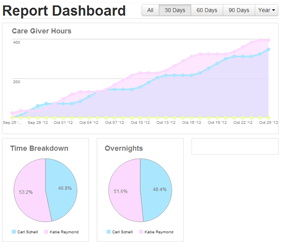 At any time you can view reports for 30, 60 or 90 days as well as reports for entire years of Qustody data. If by chance you are ever questioned about your time, you can export Qustody reports to show a detailed record of your time with your children. 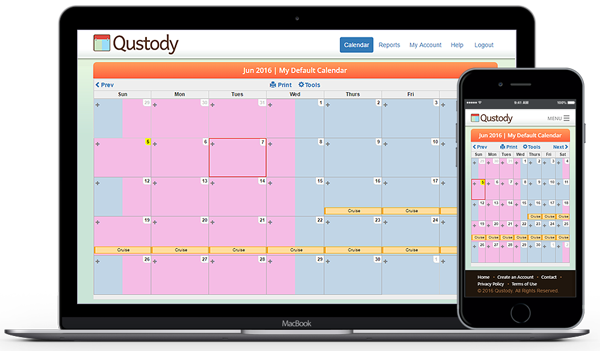 Allow other users to log in and view and modify your custody calendar. 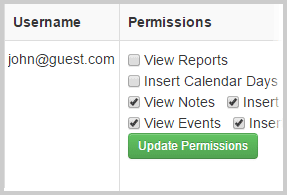 You can also restrict their permissions to keep your calendar data safe! Don't wait to start tracking your child's custody, be proactive!